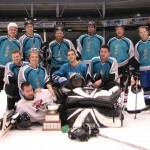 Here’s a few shots from the B-Final series between State Farm and Doogies. Click to enlarge photos (hi res versions are available but they’re too big to upload on the site). Enjoy! Brian Rawbone scored the winner 1:53 into overtime as Billings repeated as A Division Champions with a 2-1 OT win in Game 3 against the Goblins.Â The game action was up and down all game.Â Brian Rawbone opened the scoring for Billings just under two minutes into the opening period as his shot handcuffed goalie Sean Murdy.Â Dave Newell and Jeff Columbus each added an assist on the play.Â Ryan Kelly then finally tied the game for the Goblins on a 5 on 3 Powerplay early in the second period from Brad Barbour.Â The game was deadlocked the rest of the way as goalies Sean Murdy and John Biro were unbeatable. 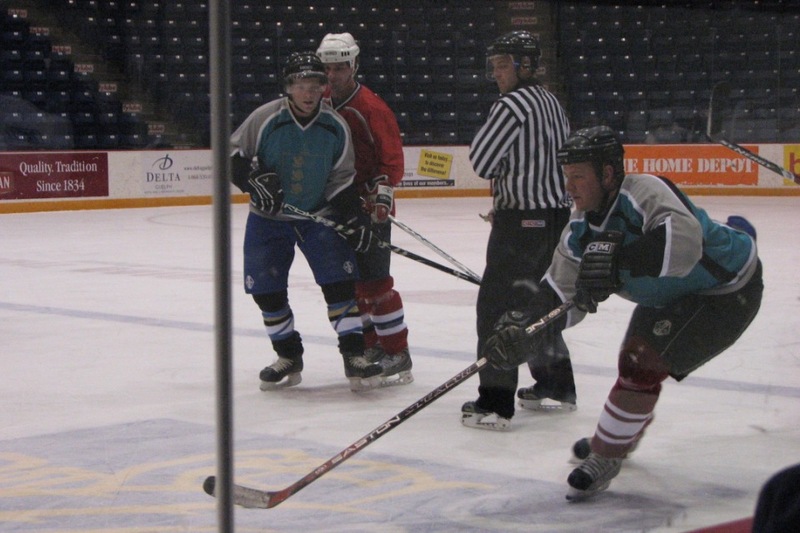 The game went to a 10 minute sudden death overtime period which was to be followed by a shootout.Â Brian Rawbone scored the winner on a one timer from Dave Newell and Len Fonte to give Billings the win and their second GARHL title. Congrats to Billings and Doogies on their respective Championships. Finally, a big thank you goes out to all the Sleeman Centre staff (Botts, Foxy, Roader, Tiny) GARHL Staff (Wheelhouse, Cal, Todd) and GARHL President Roger for a great job this past season. Cheers and we look forward to seeing you all in the 2009-2010 season.Â Info will be emailed to all teams in August. 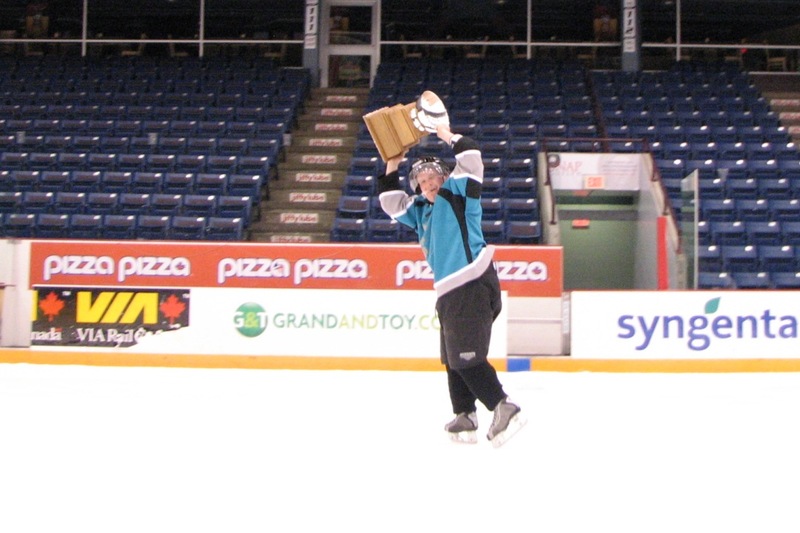 Doogies claimed their first GARHL B Division Title with a tight 3-2 win over State Farm to take the series two games to none.Â In the A Division Final the Goblins came back to win 2-1 in a shootout to set the stage for an exciting game three showdown Thursday Night at the Sleeman Centre, puck drop is at 8:30pm. Dean Fair led the Doogies attack with two goals and an assist while Paul Brydges added the winner and two assists in the win for Doogies. 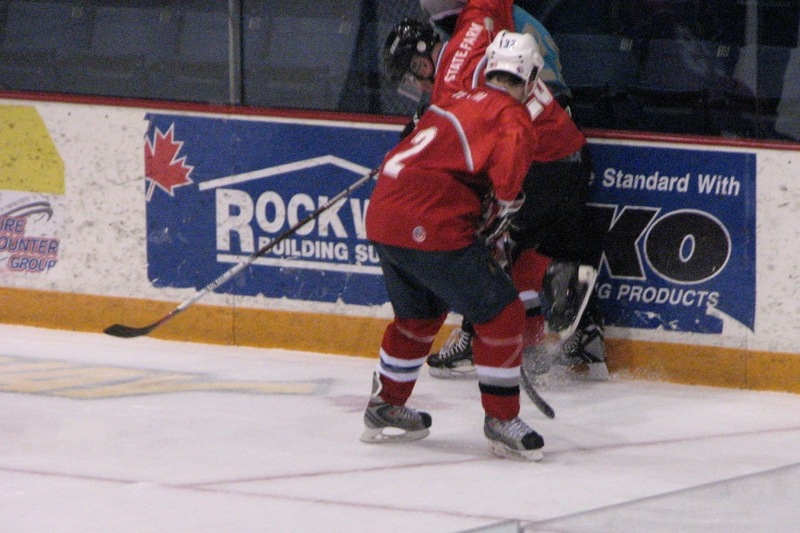 Ryan Adshade chipped in with two assists. 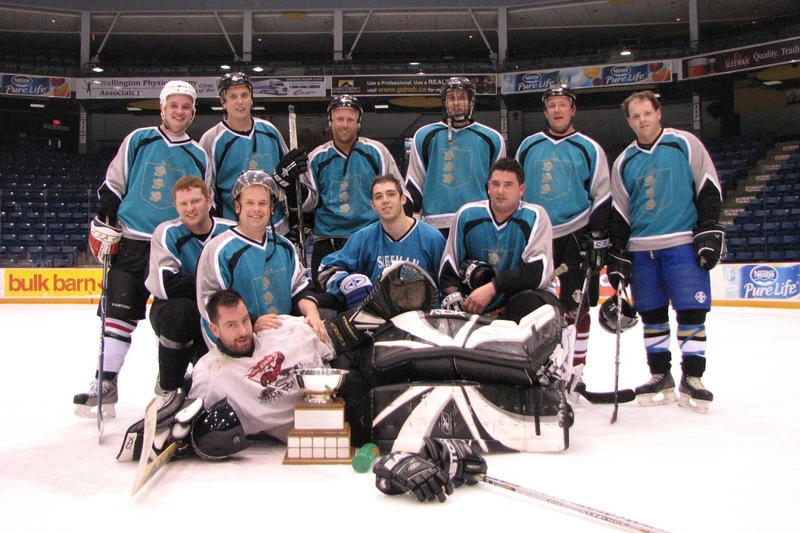 Doogies took a quick lead and scored two other goals ten seconds apart to clinch the title. Lloyd Bowers and Paul Iacocca led the State Farm attack with a goal each, while Jason Marcone, Peter Curtis and Greg Riff each added single assists. 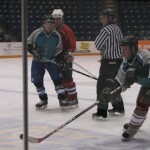 The Goblins scored a late goal in the second period to send the game to a shootout. 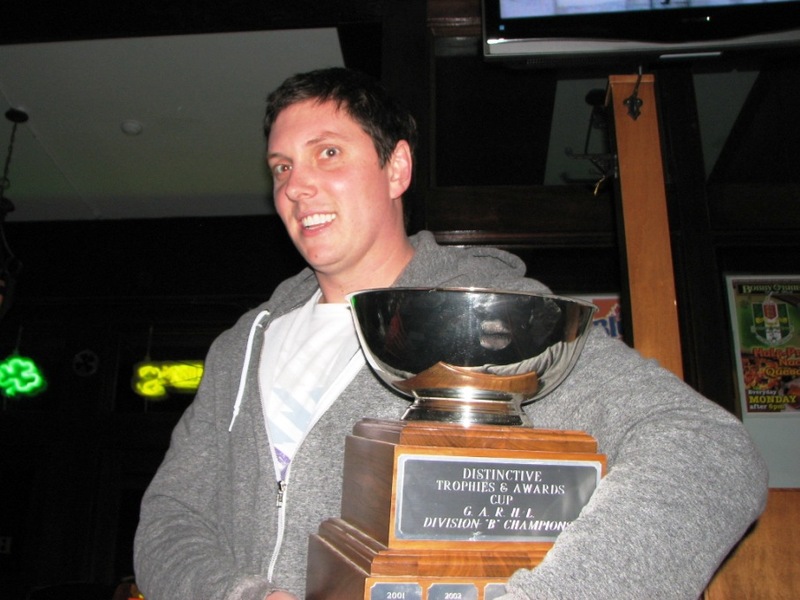 Bob Schmaltz scored the only goal in the shootout for the Goblins to seal the win. John Biro and Sean Murdy were both excellent between the pipes for both teams, including only giving up one goal combined in the shootout. 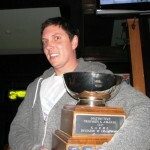 Bob Schmaltz scored the lone regulation goal for the Goblins from Rogie Goodchild IV, and Kevin Kelly. Brian Rawbone continued his assault on the playoff scoring race with the lone goal for Billings while Jeff McDonald added the lone assist. Game 3 is set for 8:30pm at the Sleeman Centre tonight. Billings and Doogies each took a step closer to claiming the Distinctive Trophies GARHL Cup in their respective divisions on Monday Night.Â Game 2 of each series goes on Wednesday starting at 7:15pm at the Sleeman Centre. Shawn Richardson led the Billing attack with two goals while Mark Gazzola, Brian Rawbone and Brian Munaro, who had the winner, each added goals for Billings. Brian Munaro also had two assists in the win, and Wayne Horst, Mike Alarie, Beppy Toscan and broan Rawbone each added single assists. Matt Belluz did all he could for the Goblins scoring both their goals with assists to Brad Barbour and Sean Stafford. A balanced scoring attack from Doogies led to their decisive game one win. Dean Fair led the attack with a goal and three assists while Scott Burton, Eric Cronin and Adrian Brown each had single goals. 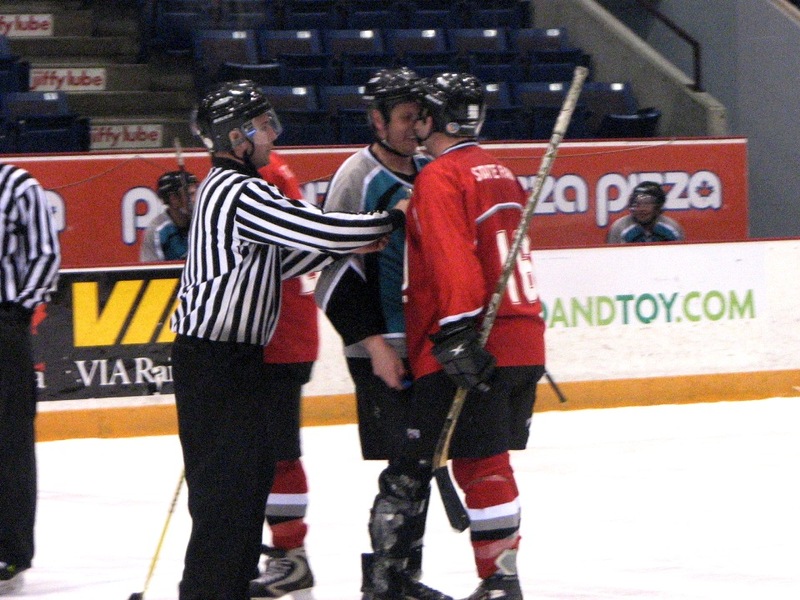 John Cuyler and Paul Brydges added single assists in the win. Greg Riff had the lone State Farm goal from Dave Iacocca and Luke Tucker. The A and B Division Finals for this season’s GARHL are all set.Â In the A Final the defending A Division Champions Billings go against long time foe Goblins.Â In the B Division its the expansion team Doogies taking on the 2007 Champion State Farm. Three of the four GARHL Semi Finals will be going the distance to game three’s after Wednesday nights GARHL play.Â The schedule for all of the Game three’s on Thursday April 9 is as follows. 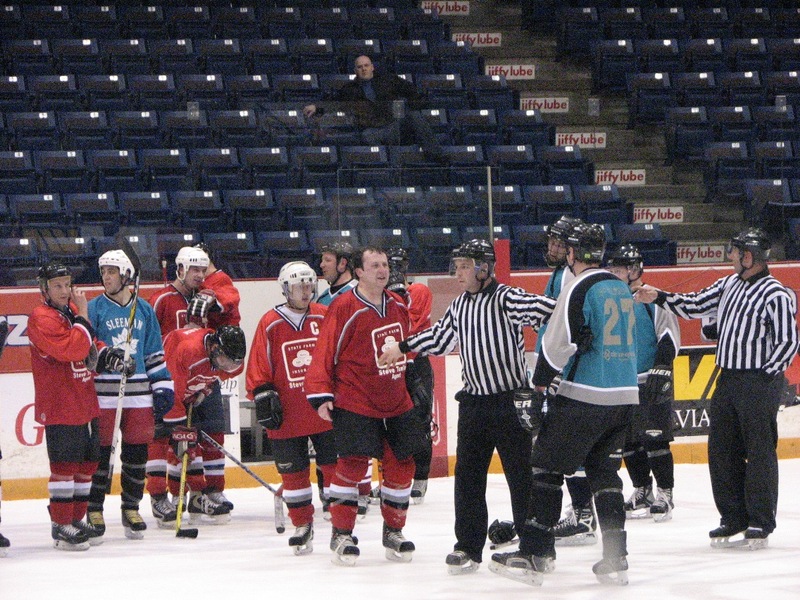 State Farm started the night off with a series win against Tim Hortons. 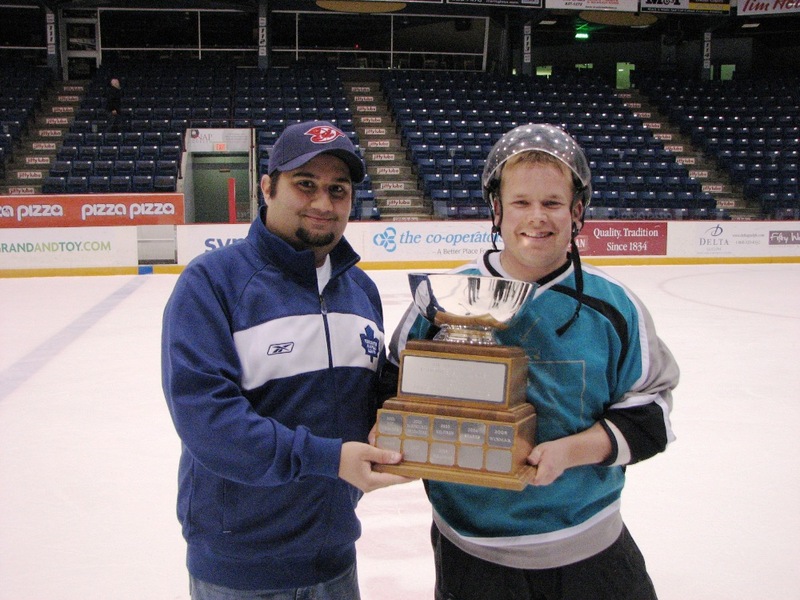 Jason Marcone, and Mark Patrick each had goals for State Farm, while Paul Iaccoca added an empty netter. Lee Wilkinson had two assists for the winners. 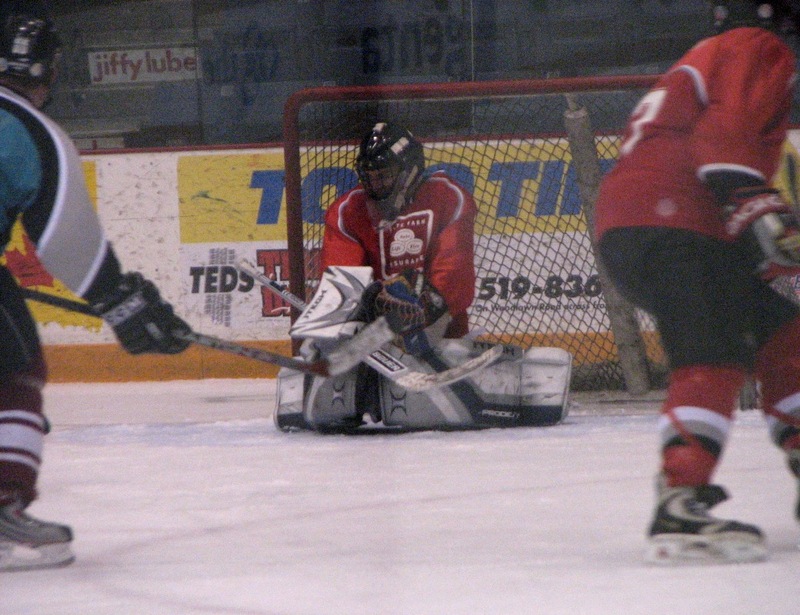 Ryan McDonald had the lone goal for Tim Hortons, while Chris Heslop added the assist. Doogies clinged to the win as they jumped out to a 2-0 lead with goals from Jimmy Gordon and Dean Fair. 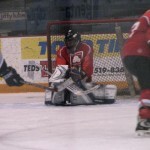 Ben Williams responded midway thru the second period for McCabes but they couldn’t get the equalizer in the 2-1 loss. Ryan Kelly’s goal for the Goblins with 4:14 left in the first period proved to be the winner in a very entertaining and low scoring game. Rogie Goodchild IV had the opening goal for the Goblins in the win. Jason Peart had the goal for Curwins with assists going to John Fields and Matt Thatcher. Wellington played a solid game in tying their series with Billings. Tom Howse had the winner while Darren MacDonald and Kurt McArthur each added goals for Wellington. Mike Alarie responded for Billings with an assist to Wayne Horst. A four goal first period outburst and very tight defensive play the rest of the way led McCabes to a game one win against rival Doogies. 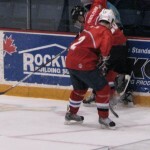 Tyler Brown led the McCabes attack with two goals, while Stephen Goetz and Rick Moroz added the other goals for McCabes. Lindsay Boire had three assists in the win as well. Scott Burton and Dean Fair replied for Doogies. Game two goes on Wednesday Night at the Sleeman Centre. Start Farm capitalized on three first period goals and never looked back in defeating Tim Hortons in game one. Paul Iaccoca had two goals, while Gregg Riff, and Dave Iaccoca added the other goals in the win for State Farm, while Lloyd Bowers added two helpers. A balanced Billings attack led the defending champions to the win on Tuesday night. Jeff McDonald led the way with two goals, while Shawn Richardson, Mark Gazzola and Mike Alarie each had the other Billigns goals. Ron Sartor, Brian Rawbone, and Jeff Columbus each added two assists in the win. Todd Hlushko had the lone response for Wellington from Paul Bertholot and Kurt McArthur. Jeff Peart led the Curwins attack yet again with two goals, including the winner, while Adam Osborne added the other Curwins goal. 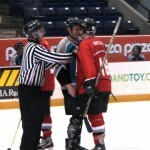 Ryan Gillespie chipped in with two assists. Sean Stafford and Matt Belluz each had the goals for the Goblins. 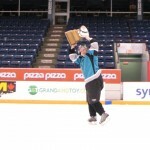 Game two goes Wednesday night at the Sleeman Centre. 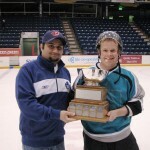 Number one seed Doogies will square off with McCabes and State Farm will play Tim Hortons in the second round of the GARHL Playoffs in the B Division.Â Action will commence on Tuesday night.Â For the rest of the GARHL Playoff Schedule please go to the Playoff tab located at the top of the homepage.